Sundance 10 Frame bottom mounted Pollen Trap for removing fresh pollen from bees as they enter hive. 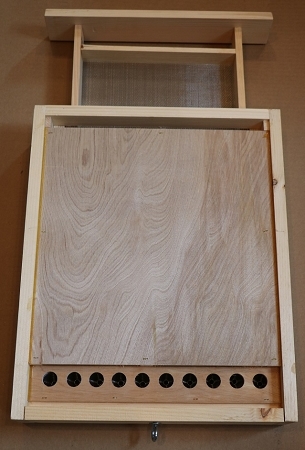 Pollen is easily collected from the trap through a drawer on the front so there is no need to open the hive. 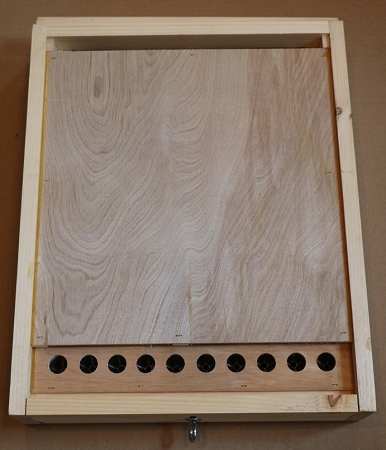 This is best pollen trap on the market because it lets some pollen still get through with bees and very little debris gets in pollen drawer. A strong hive can produce as much as 1.5 lbs of pollen a day during the summer months.